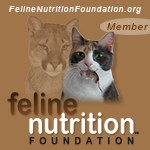 Tanisha's Story: Acid Reflux in Cats | Purrrfectly Holistic...a Boutique for Cats! Purrrfectly Holistic…a Boutique for Cats! She’s a Himalayan Persian who was diagnosed with acid reflux disease sometime after she turned ten years old. Cats can get acid reflux? Apparently so! My name is Debbie. 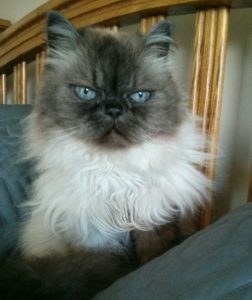 I have a Himalayan cat named Tanisha. After she turned 10 she developed issues with acid reflux. After seeing vet she’s been eating Royal Canine Gastrointestinal Moderate Calorie. For awhile Pepcid AC helped but now it makes her vomit. Tried Ranidine but that makes her throw up as well. I was thinking about trying her on probiotics but I don’t know what to choose. And I’m not convinced vet prescribed food is doing her any good either. I am at my wit’s end here. Her condition seems to have worsened and I can’t help her besides give her Cerenia for nausea. I can’t imagine being at your wits end and feeling so desperate. This type of issue was a first for me, so I did a little research. Evidently, Himalayan/Persian breeds have a tendency to develop this condition, but it can also result from anesthesia or improper placement of the surgical tube during surgery. I’m not sure if she had a medical procedure prior to this or not. When dealing with any type of health condition it’s always my goal (and should be very veterinarian’s goal) to determine and treat the CAUSE, not just the symptoms. I used a couple of excellent holistic veterinarian websites that discuss this specific condition and to see possible recommendations for treatments. When you give the body the correct tools it can heal itself! Using her photo I energetically muscle tested her for every single suggested therapy/treatment, supplements, and food. I also tested the cat food ingredients for both canned and dry formulas of Royal Canin Gastrointestinal Moderate Calorie Cat food since Debbie’s email didn’t specify which formula Tanisha eats. I found the results VERY interesting, and I think you will too! Debbie’s intuition that the food may not be agreeing with her was right on! Chiropractic adjustments help release any blockages (subluxations) in the spine that affect the communication of the nervous system to all the areas of the body. Think of it like a “kinked garden hose.” If the hose is kinked, the amount of water pressure is affected. The brain sends signals to all areas of the body via the nerves in the spinal cord which then connect to nerves running to all the organs and systems. If there is a “kink” and the nerve signal is not getting through at 100% everything is affected. In Tanisha’s case, making sure her nervous system is functioning optimally will ensure her digestive system works properly. Muscle testing also showed me that the GERD in her case is caused by her stomach not producing enough acid (vs producing too much). Adding the apple cider vinegar will help her stomach produce more acid to help her digestion. It’s easy to mix into the wet cat food. Kefir is a great way to build her good gut flora and put natural probiotics into her diet. Debbie can also add a small amount to her food if Tanisha develops a liking to it. Bone broth is a great way to help the esophageal lining heal and soothe the stomach. It’s loaded with glutamine which helps the intestinal cells heal the lining of the gut. Homemade bone broth is best, and it’s easy to find guides online. Tanisha may enjoy drinking this in between meals as a snack. In order to give her body the extra digestive support and build her good gut flora, I also tested her for numerous products. Here are the two she tested excellent for, and she needs both as they have different roles. “OptaGest works with the body’s natural processes. It contains organic prebiotics which serve as food for friendly bacteria. 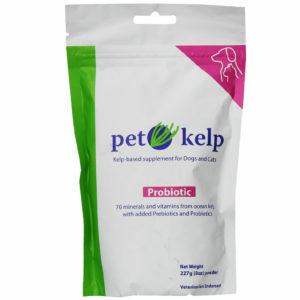 This targeted feeding promotes a healthy intestinal balance, allowing your pet’s unique, native bacterial strain to thrive. How do antibiotics interact with prebiotics and probiotics? Antibiotics are intended to kill any harmful bacteria in the pet’s system. Unfortunately, they often kill the beneficial microbes as well, including any introduced through a probiotic supplement. However, because OptaGest contains no living ingredients, it is well-suited to support the digestive tract even during antibiotic use. The natural, plant-based enzymes found in OptaGest work from tongue to tail to aid the body in the absorption of nutrients, helping your cat get the most from daily meals. How does OptaGest support a healthy immune system? 70% of the body’s defenses are housed in the digestive tract. Supporting intestinal health with OptaGest promotes a strong immune system from the inside out. Fluoride-free water will also help reduce the toxic load in her body. Fluoride negatively affects the endocrine system, so it’s best avoid it if you can. Debbie wrote me back that she bought some goats milk to try, which is loaded with probiotics and is very nutritious. Turns out, Tanisha loves it! She also bought some kibble for sensitive stomachs and asked me what I thought of canned vs kibble. I always advise to ditch the kibble! 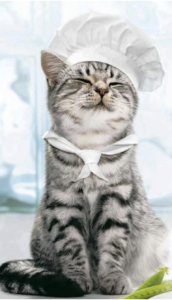 Remember, it’s like “junk food” for cats, and the chemical compounds called acrylamides produced during the cooking process are toxic and known carcinogens. Kibble also promotes inflammation in the body due to the starches and grains in it. Therefore, despite what the label says, I would avoid it completely. Once more, muscle testing is the key to providing Tanisha with the best possible recommendations that work with her body. I wish her a healthy, holistic future and look forward to updates from Debbie! If you’d like to read more about this type of condition and see what holistic vets have to say about it, check out the links here and here. Don’t miss out posts! Sign up here. *Information in this post is not meant to diagnose, treat or cure disease.